I attended the ACBS show this past weekend in Lake Tahoe. Beautiful venue and boats! Docks were a little narrow, so it was difficult for me to get good photos, but I thought I would post what I did get. Yes, that was Dan Arena's boat. 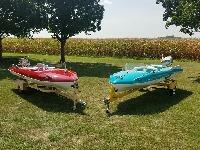 I think there were only two fiberglass boats. One interesting note is that Lake Tahoe doesn't allow two stroke motors there. But there was a woody with a 35 Johnson outboard that was in a slip. I'm guessing they allowed them to put it in the water, but not start it. Thanks for posting the pictures. I had every intention of going, but the Flu bug hit me like a hammer. Heard it was a good show, but yes, thin on fiberglass boats. Next year is in Racine, WI on Sept. 6-9. The 2018 show will be in Port Huron, MI. As I'm from Cleveland, I hope to attend both. Much easier for me than crossing the Rockies pulling a boat. Thanks Dave, wish I had know you were going I would have made a point to get away. Delta was great last weekend. I didn't go to Tahoe - just heard a report from the two guys in our North Coast Ohio chapter who did go. The woodies are sure gorgeous! I restored a 1956 Century Resorter back in the early '89s, and really enjoyed it for a long time. 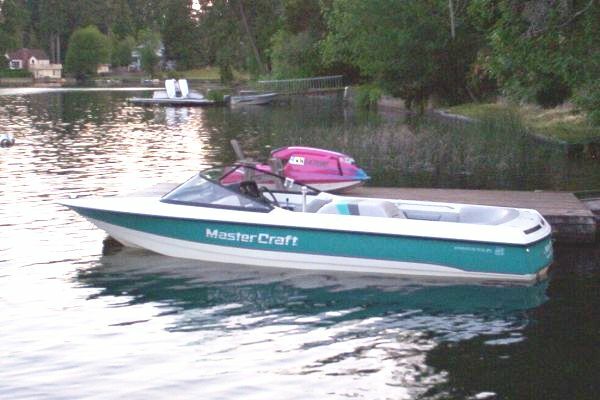 I sold it in about 1998ish, and purchased a sweet fiberglass boat to replace it. No where near the thumbs up from other boaters any more, but no where near the maintenance required either. My beat up old carcass appreciated the change.